Let’s say you own a restaurant. A patch of oil has spilled on the floor, and someone has slipped and fallen, resulting in a broken arm. Are you, as the property owner, liable for the injury? As a matter of law, the answer to this question depends in some measure on who the injured party is. You may wish to secure competent legal advice if you face such a quandary. Florida law classifies people into three categories when determining a property owner’s legal responsibilities: invitees, licensees and trespassers. Invitees are individuals who logically assume they are welcome on the property. This includes guests in your home, patrons at your business, and firefighters and law enforcement in either place. As a property owner, the responsibility for any injuries to invitees is clear if there has been a failure to warn of dangers or a failure to maintain reasonably safe conditions. If an injury occurs due to conditions that the owner knew about or should have known about, the property owner is generally liable. So in our hypothetical oil spill, if the injured party was an employee or customer, you are liable. 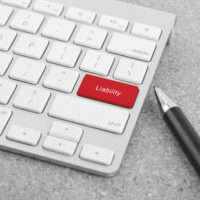 Liability for licensees is slightly different. A licensee enters one’s property for one’s own convenience, not necessarily for reasons specific to the property. An example might be entering your restaurant to get change, as opposed to entering to purchase lunch. A property owner’s wanton negligence determines responsibility toward licensees; except in cases of gross negligence, they would likely not be responsible for the injury. What about when someone willfully trespasses on property and incurs an injury? The law considers the property owner’s duty in the context of intent to harm or gross negligence. For instance, if a trespasser drowns in a fenced-in backyard pool, it can be reasonably assumed that the homeowner had no intention of injuring the trespasser. The homeowner is arguably not liable. However, if dangerous conditions exist that would reasonably require a warning, and that warning does not exist, a homeowner might be found to be liable for a trespasser’s injuries. For example, if a staircase was missing boards and a trespasser fell through, incurring an injury, the property owner might be liable if the hazard was not posted. On the other hand, when a warning is unnecessary and a trespasser is injured, a property owner is not necessarily responsible. If a trespasser were to enter property on an ATV and crash, the property owner likely would not be liable for injuries. In the case of our oil spill in your restaurant: your liability is questionable. The same standard of care applies in the case of minors, with one caveat: property owners must guard against specific dangerous conditions that might attract children onto the property. This is known as the doctrine of attractive nuisance, and assumes children may not possess the maturity to understand inherent dangers associated with certain items on the property. If someone is injured while on your property, it is important that you know where your responsibilities begin and end. In many instances, you are not liable. Our experienced personal injury team at the Law Offices of Robert W. Elton has the knowledge and experience to navigate the complex questions associated with these situations. Contact our Daytona Beach office for your no-cost consultation today.